Another great themed collection from the Viper label, this time probing the canine-related preoccupations of vintage rock & roll! ("'You ain't nothing but a Hound Dog' is a song commonly associated with the King of Rock 'n' Roll: Elvis, but in fact there had been several earlier versions recorded, many of which are included on this album. These 'Dog' related recordings have a strong sexual undercurrent, concerning themselves with 'snooping around your door' & 'being in the Dog house'. 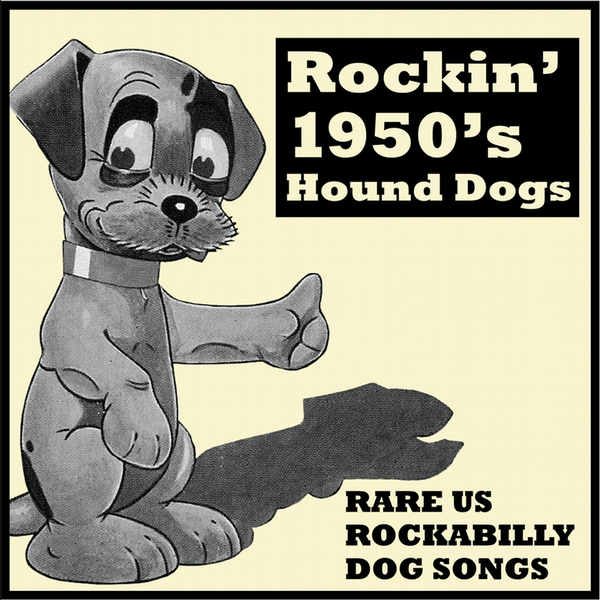 It's with great delight that we present these obscure Howlin', Rockabilly, Canine treats and give them a much needed run out! ..."